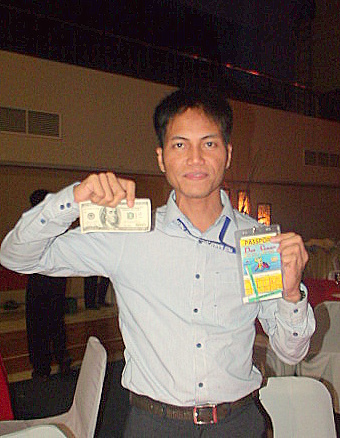 This blog post is first in a series of three articles written by Entomologist Don Johnson Neri as he reviewed Bio-Tech Environmental’s participation in the Pest Summit 2012 in Boracay, Aklan, Western Visayas, Philippines. Imagine your name drawn in a raffle…twice! That’s right, twice. One winning a mini laptop and the other one a 100 dollar bill. You surely are the luckiest guy in the world. For Mr. Ebenezer Luman-ag, Area Manager for North Luzon termite and pest control operations, he indeed was that luckiest fellow. 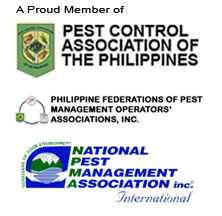 Pest Summit 2012 in Boracay was not only a venue for learning the latest technologies, research, and experience relevant to the pest management industry, but more importantly a perfect place to meet new friends from our ASEAN neighbors and win great prizes – thanks to the event’s sponsors. Asked about the secret on his luck, Mr. Luman-ag just said, “Kausapin niyo lang tickets niyo” (Just talk to your tickets). Oh well, I had done that before but in vain. But for the other members of the Bio-Tech Environmental team of pest control professionals, we were more than happy that one of us won…twice.